Condom companies are working hard with innovating ideas to promote their products. However, the latest experiment has received mix reactions. A company named Tulipan from Argentina has come up with a ‘consent condom’ that requires 2 people (four hands) to open its packaging. To open the pack, participants need to press four corners of the box together and unlock the condom. The idea is to encourage mutual consent. 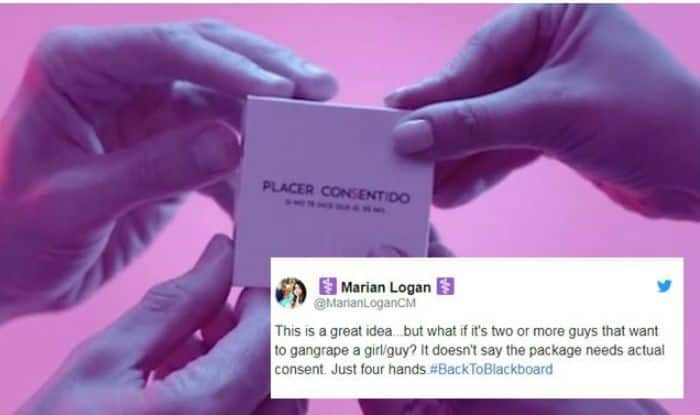 The brand’s Twitter handle posted a video that depicts how the “Consent Pack” works. Netizens, are in fact, divided on their opinion regarding the fact that ‘Consent Condom’ is safe or not. The practical results of the product may be doubtful. 1. I’m sure I could engineer a way to open it with two hands. 2. Few rapists bother with condoms. Netizens are confused about whom to blame for this horrendous blunder.